Trying to get your head around the school holiday and term dates each year is diabolical, isn’t it? Not to mention the fact that schools refer to ‘weeks’ instead of actual dates like the rest of us. It did my head in, until I sorted it by creating a school calendar that had the lot. 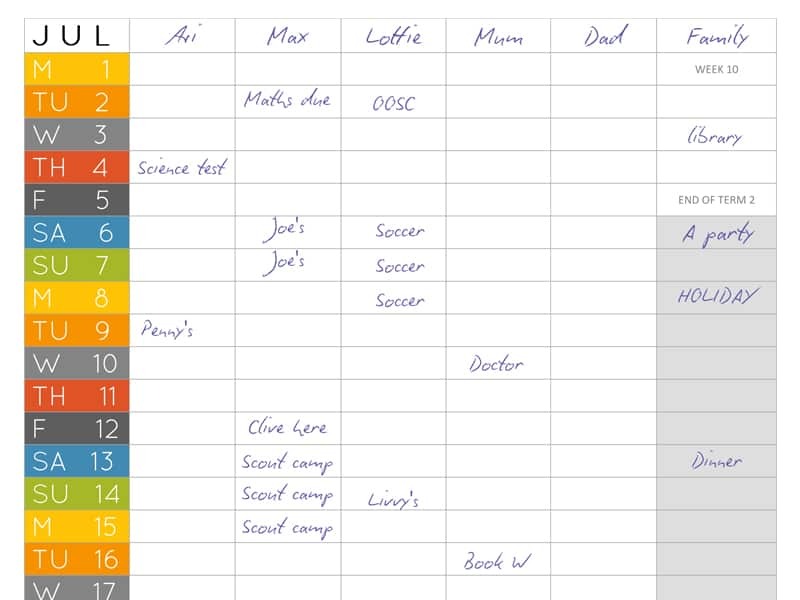 Then I thought I’d share my ultimate school calendar with you for free. I’ve create a school calendar for each Australian state. Each calendar has space to write your family member names at the top and a box to keep all the family stuff in as well. I’ve noted public holidays for each state as well as when term begins, ends and breaks for the year. So, all our school holidays are greyed out and public holidays are noted as ‘long weekends’ with a slightly greyer box. That way we can see at a glance when we get a long weekend. Yippee! Tassie wins the prize for the most random public holidays, I think (though Victoria is a close second). It’s actually really interesting doing all of the state school calendars together. You notice that there is rarely a pattern between our states when it comes to when school is in and when it’s out. Well done to the states that don’t have an ELEVEN week term for term 1 2019. OMG, that’s going to be a killer. Plus Tassie wins the prize for the most random public holidays, I think (though Victoria is a close second). I wish Sydney had a ‘show day’. 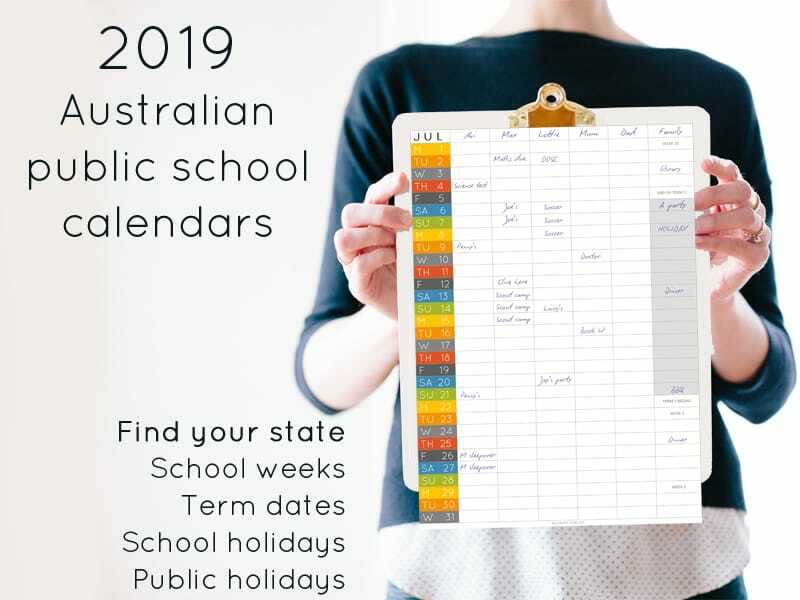 Click on your state below to go to the Australian school calendar made just for you. Let me know if you have any feedback about the school calendars. I’m always looking to improve and, of course, fix any errors! I’m certain there will be many as my eyes are glazing over having done eight school calendars in a row! Argh! 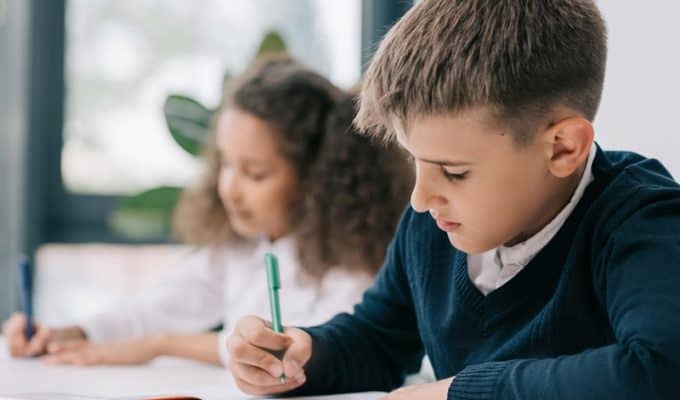 Are your kids at a public school?